ANAI’s early history had two phases: the founding phase from 1971 to 1978, followed by a five year period of growth, diversification, learning and preparation. During this time, a small diverse core group of people came together and dedicated their lives to work toward the long-term wellbeing of nature and people, based in Talamanca, Costa Rica. Bill McLarney, a fish biologist from rural western New York State, took the first steps toward creating ANAI in 1971. Bill had a decade of experience putting his PhD in Fisheries into practice integrating aquaculture, agriculture, energy and shelter with The New Alchemy Institute, an NGO in the United States. He had done research on the fish of the northern part of Costa Rica. He also had 3 months a year free from the demands of his day job, and decided to use this time contributing to the twin crises of biodiversity loss and unsustainable development in the tropics. After 3 winters of getting to know every corner of Costa Rica, he bought a small farm in the country’s most remote region, the south Caribbean lowlands near the border with Panama. At the time, Talamanca had no road or rail connection with the rest of the country. A place where it took a full day to get to the nearest phone, much of it walking, seemed to Bill like an appropriate place to start learning more about nature, people and livelihood, and exploring how he could contribute. He was joined by Jeronimo Matute Hernandez, a local farmer originally from Honduras who dreamed of his great grandchildren sustainably managing his family farm, as bountiful and full of nature as it was in 1973. After five years of intensive 3-month bursts of work, Bill and Matute had established ANAI’s foundation. 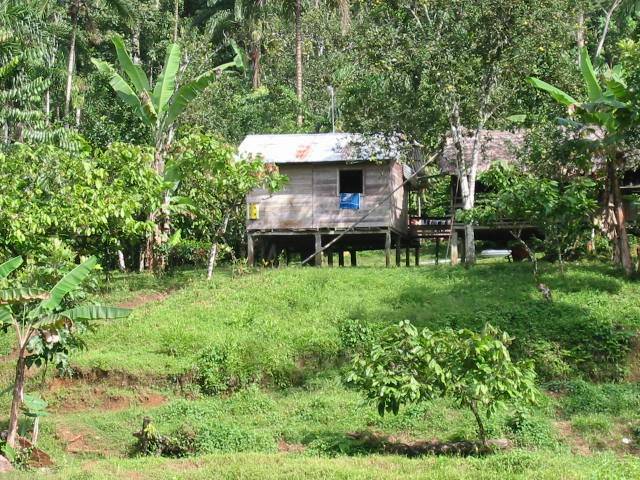 ANAI had two research and conservation properties (a small forested wetland area near the coast and a 100 hectare “farm” that was 70% lowland forest and 30% abandoned pasture), a small house, three hand-dug aquaculture ponds, and a deep appreciation of the region’s diverse people, rivers, wetlands, forest ecosystems and farming practices. They also had developed an unshakeable commitment to the place, its people and its future generations. Roberto Mack, born and raised in Honduras, made his lifelong connection with ANAI in 1981, bringing his passion for tropical fruit trees, organic agriculture and appropriate technology. Two local women, Elena Sandoval and Fernanda Sandoval, began supporting ANAI in 1983, assuming responsibility for managing the association’s experimental farm and conservation area. Benson Venegas completed the core team in 1984, after becoming the first Talamancan to finish a science degree at the National University. With his charisma, dedication to people and nature, and motivational good nature, Benson always made everyone else’s day better. These people’s capabilities, diversity of backgrounds, hard work, commitment and ability to work together playing a variety of roles on the same team for many years are at the heart of ANAI’s contributions over the following three decades. The surrounding context was changing fast. In 1976, indigenous territories were established along the slopes of the Talamanca mountains, bordering the soon to be formed La Amistad International Peace Park and World Heritage Site. That same year a bridge was built over the Estrella River, connecting previously isolated Talamanca to Limon and the rest of the country. The road quickly reached the border with Panama, and was followed by a flood of settlers, speculators and lumber companies. The multi-national banana companies responded by reactivating their semi-abandoned land along the lower reaches of the Sixaola River. Equally momentous was the 1978 arrival of a fungal disease of cacao called frosty pod rot, known locally as monilia. While it ‘only’ ruins the pods, and doesn’t affect the cacao tree itself, within two years, the harvest was down 95%. As cacao was the only cash crop for small farmers, the economic crisis was severe. Families began eliminating their traditional cacao based farming systems and forests in search of short term gains from selling wood and making pastures. The association decided to focus on practical steps to strengthen and diversify the farming systems, protect the region’s unique ecosystems and contribute to community development in ways that created mutual interrelated benefits. The team’s analysis was that tree-based, sustainable farming systems are an essential element of a thriving biodiversity friendly landscape. They believed that the best path forward for the region’s small farm agriculture would be based on the principles and practices of the agro-ecosystems that characterized the traditional indigenous productive systems, mirroring the diversity, structure and functions of the native rainforests. With farmers facing the loss of their main source of income, cacao, ANAI started identifying and evaluating new tree crops that could be integrated into the local farming systems to replace the lost income while strengthening resiliency. Over several years, the team identified and brought to Talamanca more than 200 species of fruit trees and other useful crops from similar lowland humid tropical regions. This involved going to countries with climates similar to Talamanca in South America, Central America and Asia to learn more about each species, identify the highest quality trees from which to obtain seeds, get all the necessary permits, bring them back to Costa Rica, and establish them on ANAI’s farm to evaluate their growth, fruiting and other relevant characteristics. Those that grew well, had no serious disease or pest problems and produced fruit successfully became candidates for integrating into local farmers’ productive systems. The ANAI team also worked with other elements of sustainable farming systems, including soil fertility, plant nutrition and diverse pond-based aquaculture appropriate for small farmers in hard-to-reach communities. The new tree crops, the learning experiences and the approach of working with farmers and communities in a structured way based on mutual commitments were the seed of the landscape scale Talamanca Biodiversity and Sustainable Livelihood Initiative. In this period of learning and developing alternatives, the ANAI team worked closely with their neighbors to learn about local conservation and development issues. They together designed an approach to protect the local wetlands, reefs and other unique coastal ecosystems while beginning a process to help local families get legal land title for their farms. This evolved into ANAI’s first landscape scale initiative, in the Coastal Lowland region bordering Panama. Similarly, the research and explorations of the region’s unique wetland, river and estuary ecosystems was the germ of the Aquatic Biomonitoring and Conservation Program started many years later. After 10 years of groundwork, in 1983 the team legally established Asociacion ANAI in Costa Rica, and the 501(c)3 ANAI, Inc. in the United States to support the Costa Rican work. They finally felt they were ready to begin. The intertwined crises of biodiversity loss and rural poverty need to be addressed together with the people who live in the often remote places of high biodiversity. Living, working and learning in a community 4 hours from the nearest road, with very limited funding, was essential preparation. The experiences and lessons learned during this intensive five year period of on- the-ground work with agro-ecology, fruit tree diversification, community development and the region’s diverse ecosystems became the foundation of ANAI’s integrated conservation and sustainable development initiatives. The commitment of the core team has literally been for life. Two of the founders, Jeronimo Matute and Benson Venegas, were the heart and soul of the association until their passing. The rest continue to this day. Over the years, many other people have contributed to the initiatives that grew from these beginnings, as local participants, staff, partners, volunteers, interns, donors, friends and collaborators of all kinds. Their effort, sacrifices, love and commitment are what have made it all possible.